The legendary filmmaker is at odds with some industry heavyweights, who have pointed out that Netflix has been an important supporter of minority filmmakers. 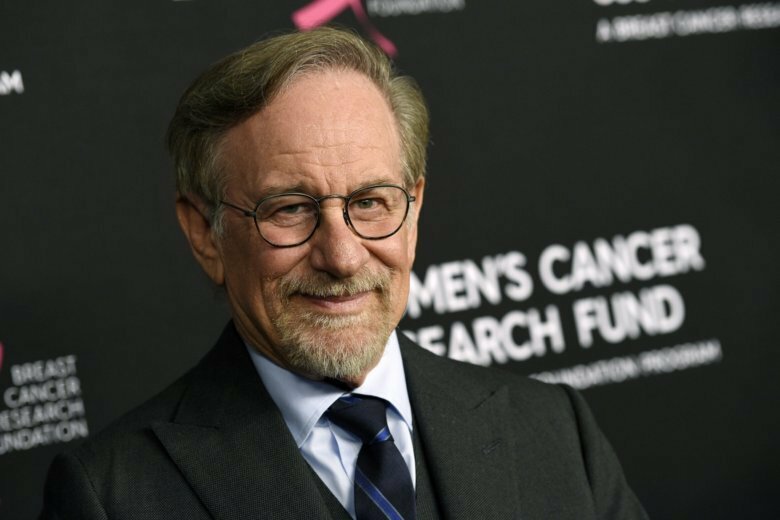 LOS ANGELES (AP) — When Steven Spielberg speaks about the business of Hollywood, everyone generally listens and few dissent. But reports that he intends to support rule changes that could block Netflix from Oscars-eligibility have provoked a heated, and unwieldy, debate online this weekend. It has found the legendary filmmaker at odds with some industry heavyweights, who have pointed out that Netflix has been an important supporter of minority filmmakers and stories, especially in awards campaigns, while also reigniting the ongoing streaming versus theatrical debate. Spielberg has weighed in before on whether streaming movies should compete for the film industry’s most prestigious award (TV movies, he said last year, should compete for Emmys), but that was before Netflix nearly succeeded in getting its first best picture Oscar for Alfonso Cuaron’s “Roma” at last week’s Academy Awards. Netflix, of course, did not win the top award — “Green Book,” which was produced partially by Spielberg’s Amblin Entertainment, did. But Netflix also isn’t playing by the same rules as other studios. The company doesn’t report theatrical grosses, for one, and it’s been vexing some more traditional Hollywood executives throughout this award season and there have been whispers in recent weeks that a reckoning is coming. Now, Spielberg and others are planning to do something about it by supporting a revised film academy regulation at an upcoming meeting of the organization’s board of governors that would disqualify Netflix from the Oscars, or at least how the streaming giant currently operates during awards season. This year “Roma” got a limited theatrical qualifying run and an expensive campaign with one of the industry’s most successful awards publicists, Lisa Taback, leading the charge. But Netflix operates somewhat outside of the industry while also infiltrating its most important institutions, like the Oscars and the Motion Picture Association of America. Some like Spielberg, are worried about what that will mean for the future of movies. An Amblin representative said Sunday there was nothing to add. “It’s very exciting because you get the sense you’re defining where the future of cinema and distribution is going, you know? Already, people are watching movies on more and more platforms than they ever had, and you get a sense that you’re part of sort of the emerging transition,” Affleck told The Associated Press on Sunday. Some see Spielberg’s position as wrong-minded, especially when it comes to the Academy Awards, which requires a theatrical run to be eligible for an award. Many online have pointed out the hypocrisy that the organization allows members to watch films on DVD screeners before voting. Filmmaker Ava DuVernay tweeted at the film academy’s handle in response to the news that the topic would be discussed at a board of governors meeting, which is comprised of only 54 people out of over 8,000 members. “I hope if this is true, that you’ll have filmmakers in the room or read statements from directors like me who feel differently,” DuVernay wrote. Some took a more direct approach, questioning whether Spielberg understands how important Netflix has been to minority filmmakers in recent years. It’s important to note that Netflix didn’t produce “Beasts of No Nation,” ”Mudbound” or “Roma,” but rather acquired them for distribution. But if Oscar campaigns are no longer part of the equation in a Netflix-partnership, top-tier filmmakers are likely to take their talents and films elsewhere. Others, like “First Reformed” filmmaker Paul Schrader, had a slightly different take. But his Academy Award-nominated film, he thinks, would have gotten lost on Netflix and possibly, “Relegated to film esoterica.” Netflix had the option to purchase the film out of the Toronto International Film Festival and didn’t. A24 did and stuck with the provocative film through awards season. One thing is certain, however: Netflix is not going away any time soon and how it integrates with the traditional structures of Hollywood, like the Oscars, is a story that’s still being written. Sean Baker, who directed “The Florida Project,” suggested a compromise: That Netflix offered a “theatrical tier” to pricing plans, which would allow members to see its films in theaters for free. AP Writer John Carucci contributed to this report.